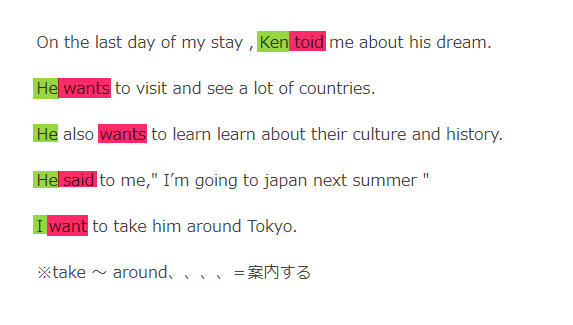 On the last day of my stay , Ken toid me about his dream. 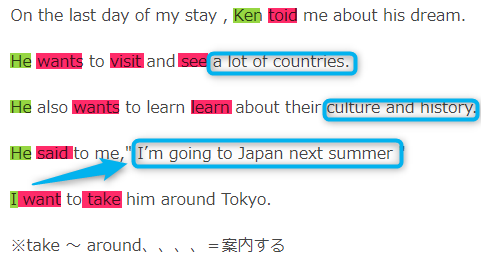 He wants to visit and see a lot of countries. 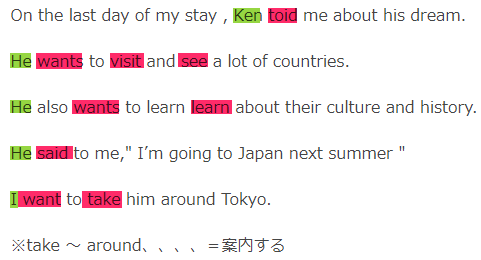 He also wants to learn learn about their culture and history. I want to take him around Tokyo.